The ability to call anybody, anywhere is taken for granted these days. However, this is not true for more than 450 million people around the globe with hearing loss. Hear-o will give this opportunity to all of us. Hear-o will be a unique mobile application which will translate sign language to written text or voice. 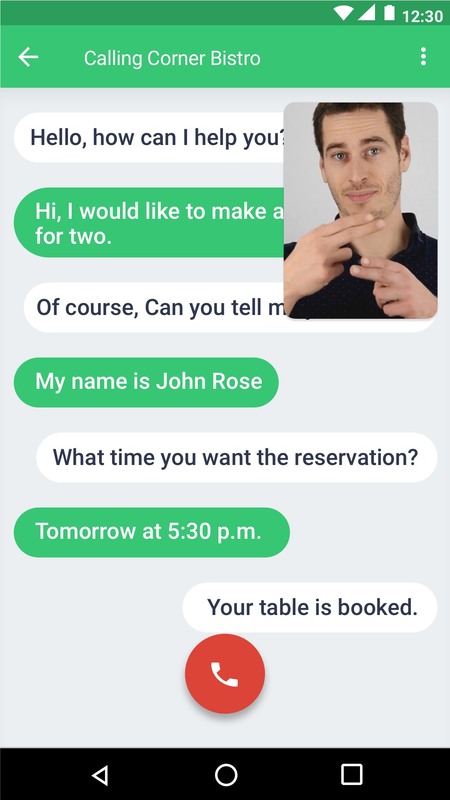 Hear-o will use cutting edge innovations in the field of computer vision and artificial intelligence to enable anyone Deaf to call, present to or chat with others without any limitations. The only thing that person needs is a mobile phone with a camera, an internet connection, and the Hear-o app. Would you like to hear about the latest updates or help us with our campaign on Indiegogo? Just subscribe to our newsletter. Your email has been added to the list! Why does Hear-o need your help? amount of data and develop a phone app. Here is where we need the help of the community. In order to train a high-quality AI, we need to obtain and process at least 1000 hours of video where people are signing which has to be transcribed to text. This is not an easy task. We will be cooperating with broadcasting stations, deaf community centers and creating our video footage. Hear-o is not just for calling. It will enable face to face communication and live translation of sign language during a public speech. A deaf or hard of hearing caller will communicate with the sign language towards a camera in her or his smartphone.  Signs will be captured and translated by artificial intelligence to text and synthesized as a voice that the recipient will hear. 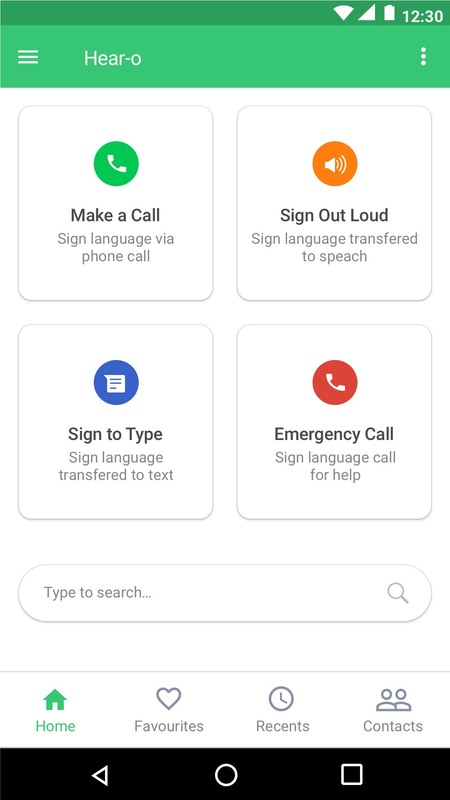 From the other end, the voice from the recipient will be translated back to the text displayed on the smartphone of the deaf or hard of hearing person. 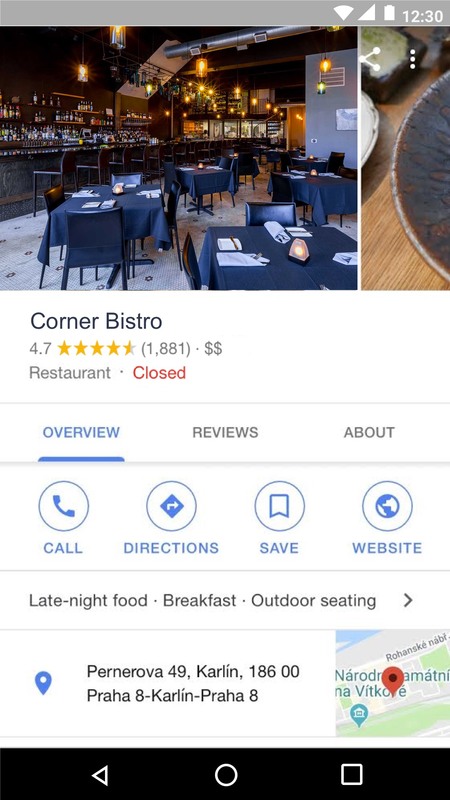 Let's imagine a hypothetical scenario where Jacob wants to make a reservation at the Corner Bistro restaurant. 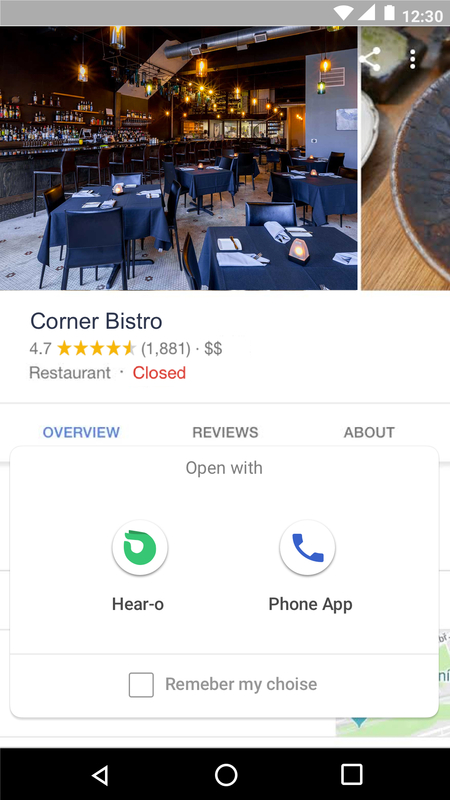 He finds this restaurant on the map and hits a his phone's call button. 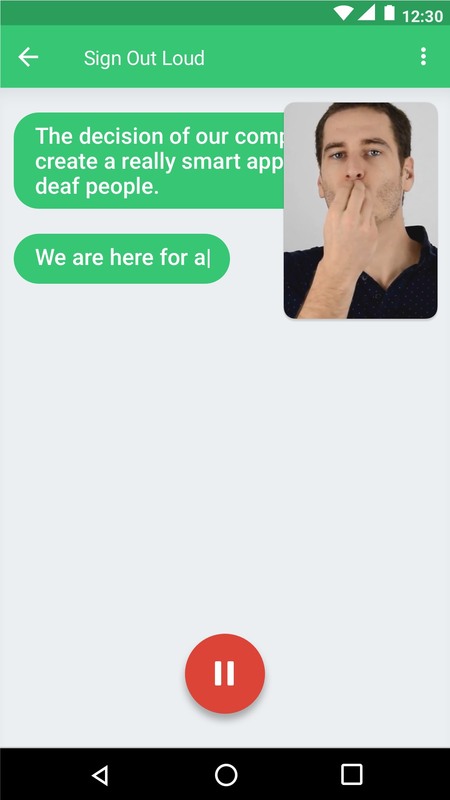 Jacob chooses the Hear-o app instead of a traditional call. 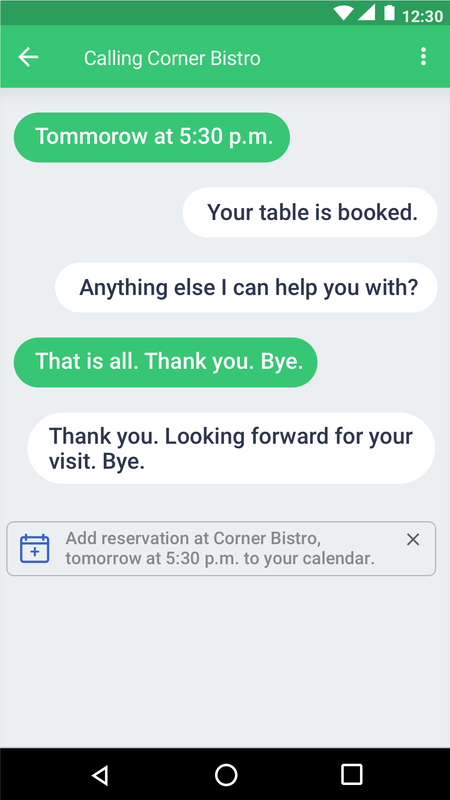 When the restaurant employee picks up, he starts signing to make a reservation. Finally, the call is finished, and the reservation is automatically saved in his calendar. Here we have another scenario with Jacob where he wants to present his great idea to the audience. In order to do that, he starts the Hear-o app and chooses to the Sign Out Loud feature. Now, he has the opportunity to connect to the loudspeakers in the room, and he is ready to start signing. Everything he signs will be translated instantly to text and speech.